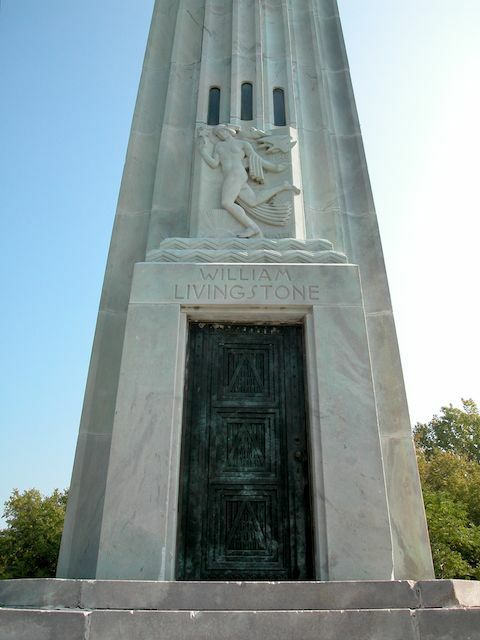 The Livingtson Lighthouse was designed by Albert Kahn in 1929 and built the following year in 1930 as a tribute to William Livingstone who was president of the Lake Carriers Association. Livingston was a prominent Detroiter and owned lake freighters. 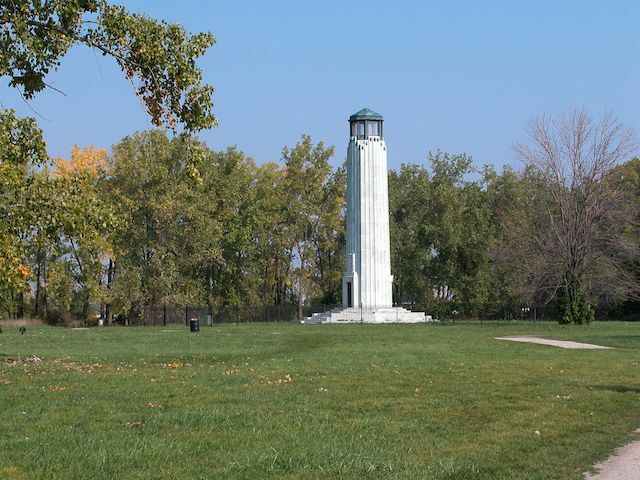 Located on the East end of Belle Isle, it is the only marble lighthouse in the nation and some say even on the continent. It is sheathed in white Georgia marble and features the work of Hungarian artist Geza Maroti. 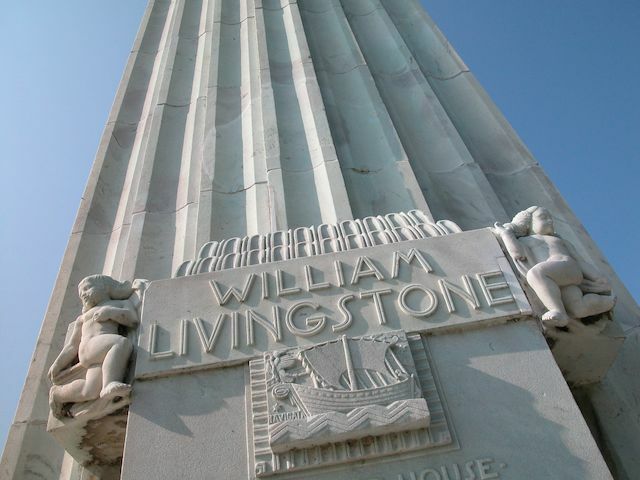 The fluted shaft of the lighthouse features eagles at the top and relief panels both the front and rear. This is the only Art Deco lighthouse and the light can be seen from the East for 16 miles. 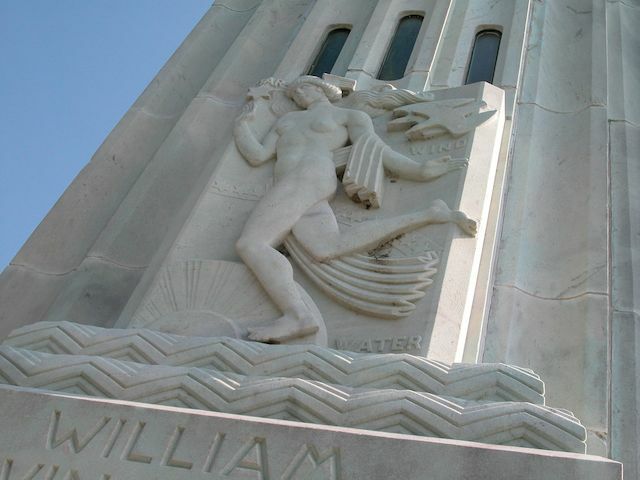 The star, wind and water all relate to being at sea on the Great Lakes and this allegorical figure seems to move effortlessly across the stylized zig-zag water. Maroti uses a favorite motif here on the lighthouse door. 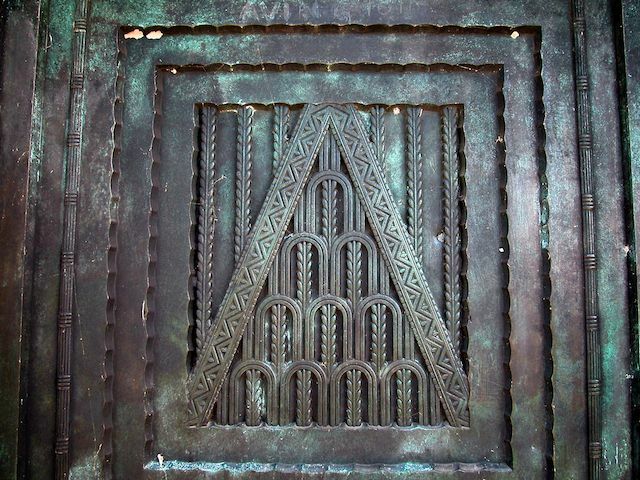 We see this design repeated at the Fisher Building, and also at Cranbrook where he worked with Saarinen. More to come on Maroti – promise!